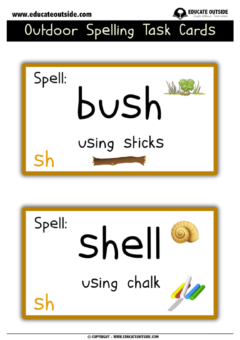 This alphabet hunt can be used as a whole lesson for the younger students or as a practical lesson starter over a few weeks for the older children. 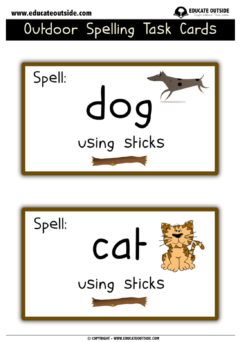 It's a great way to get them out of their seats, thinking about sounds and spellings, and having fun. 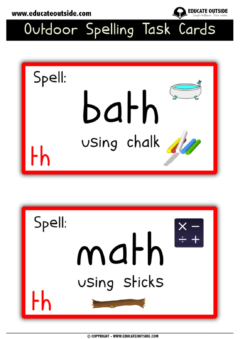 This activity can be done in pairs, or individually. 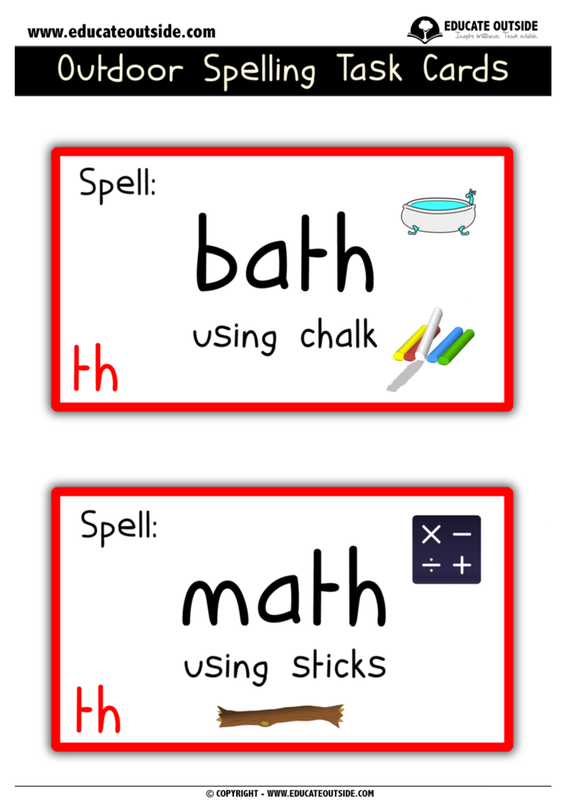 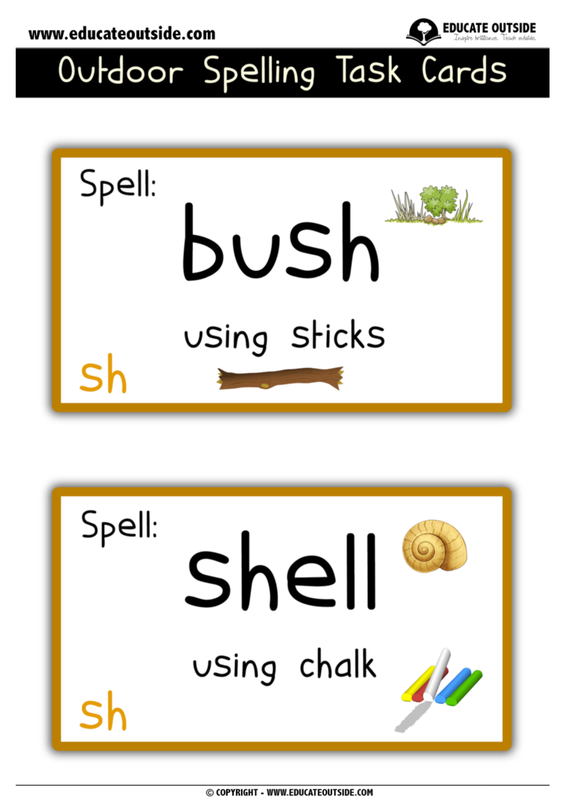 Students need to spell the words on the cards using sticks, leaves, or stones.